Editor’s Note: This is a great summary piece on the renewable energy revolution from one of CleanTechnica’s daily readers. 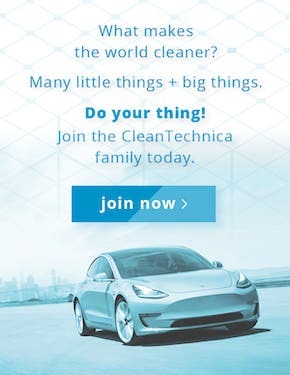 Unlike with many of the recent reader articles we’ve published, this one doesn’t come from a frequent commenter but from one of the many, many lurkers who read CleanTechnica daily and silently. I’m happy he jumped in with this piece and dropped us one of the longest reader comments ever! I’m also happy to see so many of our stories + other sources compiled in such an interesting and useful way. Chime in with your comments and appreciation in the comments below! This is a declaration that here in the ides of August, 2014, that there exists clear, overwhelmingly convincing evidence that we have passed the tipping point for change into the renewable energy era. This article discusses various aspects of evidence and metrics used for this conclusion plus some transition discussion. From an article by Bob Wallace on CleanTechnica, renewable energy is starting to replace utility-sized fossil fuel and nuclear plants in the US as shown in this graph. This is likely to accelerate over time because newly added renewables have a cumulative effect. This is to say that each new renewable installation will supplant the energy demand of the older model energy sources of oil, coal, gas and nuclear. Let us investigate some of the aspects of this shift in momentum from historically traditional energy sources to renewable energy production. Iceland 100%: This is from hydroelectric and geothermal. Norway 98%: Norway produces more energy than the country consumes. Much of this is due to hydroelectric power. Paraguay 90%: This is from hydropower at Itaipu dam, which also provides 19% of Brazil’s electricity. Canada 64%: Almost entirely hydropower. Germany 31%: This is based on the first half of 2014. In the US, the most difficult first eighth is completed with many projects currently underway to get us closer to completing the 2nd eighth. We will then only need to repeat those accomplishments 3 more times to reach 100% renewable energy for our electricity demands. (Hydro is 2.8% in US.) In a very real sense, there is a rush to get a piece of this lucrative financial pie. The competition for these rich revenue streams has already begun. Note: China’s insatiable appetite for oil might be drying up in the next decade or so due to this shift since their national energy plans includes EV. 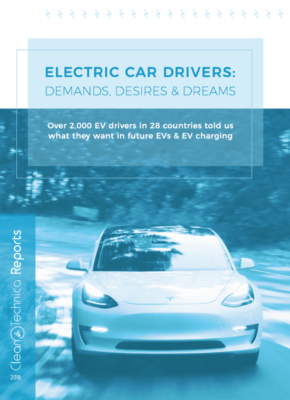 Its plan is to have roughly a third of its vehicles by 2020 EV and PHEV. How Many Headlines Does it Take for a Convincing Argument? How many headlines are needed to understand that the trend toward renewables is strong and sees no end in sight? If you need more evidence, no worries, as there are plenty more headlines out there, and more of them with further evidence seem to appear every week. Renewables are safe, domestically sourced, and virtually unlimited. They offer energy independence from foreign cartels. They keep our nation sovereign, surely a topic that conservatives in power would in principle support. Renewables are based on market economy pricing, free from oligopolistic pricing schemes that manipulate historically traditional energy prices. 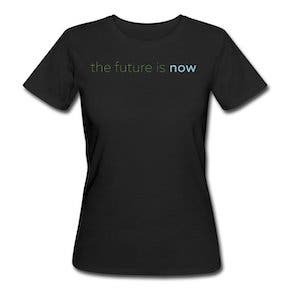 Reduce air pollution and greenhouse gases, bringing hope to future generations. EVs generate less pollution, even when their electrical energy is sourced from fossil fuel plants. 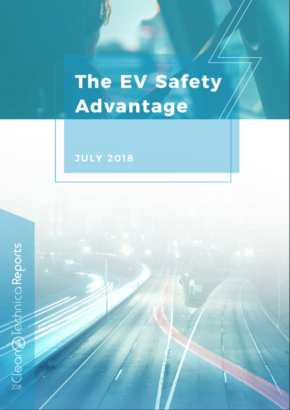 EVs are roughly $1,000 less per year to operate, reducing its cost of ownership. 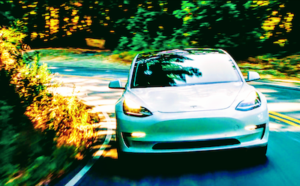 EVs’ internal mechanics are simpler, which makes their maintenance easier and less expensive, again dropping the cost of ownership. EVs reduce pollution in cities where vehicles are concentrated, improving air quality and reducing asthma and lung cancer and heart disease. Offers clean, inexpensive, domestic, renewable energy. Highly efficient. 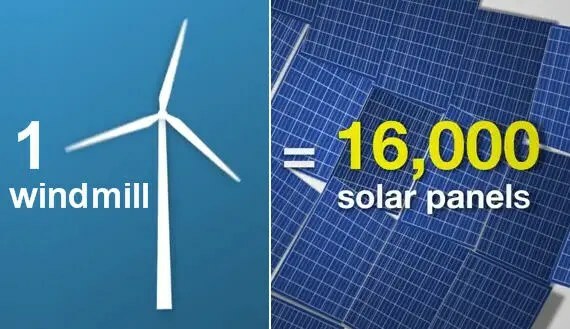 One commercial wind turbine can equal 16,000 solar panels. Can be used for utility-scale generation or in small, democratic, commercial or residential units. Typically doesn’t take up valuable space. The wind farms can be sited offshore or on farms where farmers can farm underneath the wind turbines. 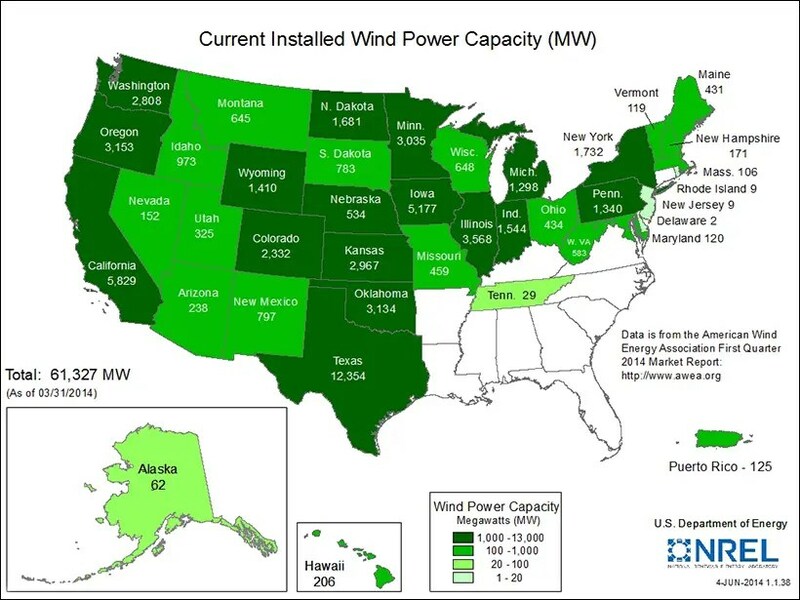 On the webpage linked above, the state-by-state annual growth of wind power installations can be seen. Solar power is efficient, clean, renewable, cost competitive and domestic. US Senator Sheldon Whitehouse claims that there are now more people working in the US solar industry than in the coal industry. Politifact.com substantiates his claim. 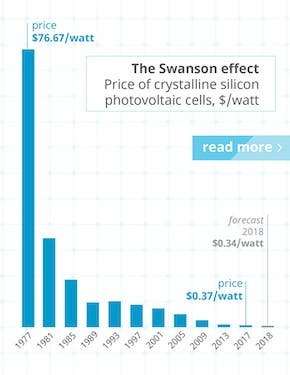 Solar PV has had significant price reductions in the last half decade and installation soft costs are being reduced as well. 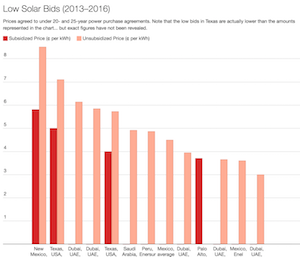 The historical lament by politicians about solar technology not being ready, intended to impede solar acceptance, is no longer working since solar power is a mature technology. This battle has been won. Utility-scale plants are possible, and small democratic applications are springing up everywhere as is evidenced by the below map 12. Geothermal: This is one of the easiest energy savers to implement. Residential and commercial building geothermal involves digging a well-designed hole in the ground, running some pipe through it, and hooking it up correctly to heat and cool buildings in winter and summer, respectively. This contributes to our ability to produce zero energy buildings. Geothermal also includes energy from hot springs and other earth heat sources. LEED Building Standards (Leadership in Energy and Environmental Design): Recently, I went on a private tour to see some zero-energy homes here in Las Vegas. Since the heat can get as high as 45C/115F, it’s not such an easy feat to claim zero-energy use here, but it’s being done without too much trouble. Prices have been gradually dropping for these energy-efficient building materials and they are being made more widely available. Energy Star–certified windows have come down in price significantly from when they were first introduced. Their pricing is slightly higher than regular window pricing, but when taking into account the energy savings, they are less expensive in the long run. In 2013, there were 4,642 total building projects certified globally by LEED. This represents 21.07 million square meters (226.8 million square feet). The significance of this is that newer buildings will require less energy per square meter. Appliances are becoming more efficient so that, as appliances wear out and are replaced, the efficiency increases in this arena as well. Oil spills cause environmental devastation and can wreak havoc for decades. Nuclear meltdown disasters endanger citizens, crops, oceans and the environment. Oil, coal and gas burn, which uses oxygen, causes air pollution, which is responsible for lung irritation (asthma and lung cancer), and they cause greenhouse gas emissions, which are responsible for climate disruption. 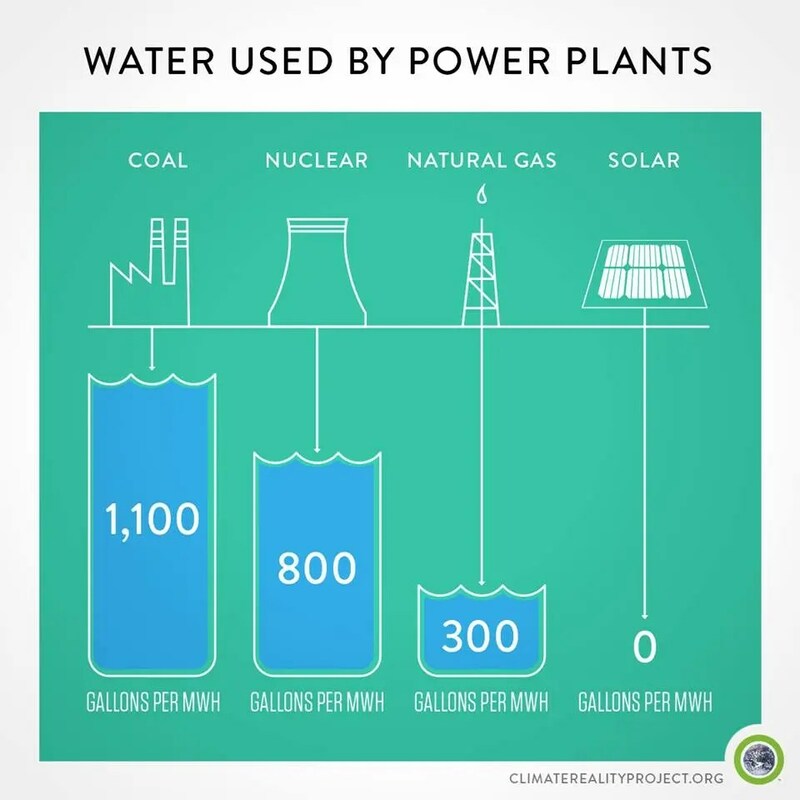 Nuclear plants are built on waterways so they can use the water to cool the plants and this causes thermal pollution in our waterways and oceans, which may exacerbate melting ice caps (Ever put an ice cube in hot tea?). 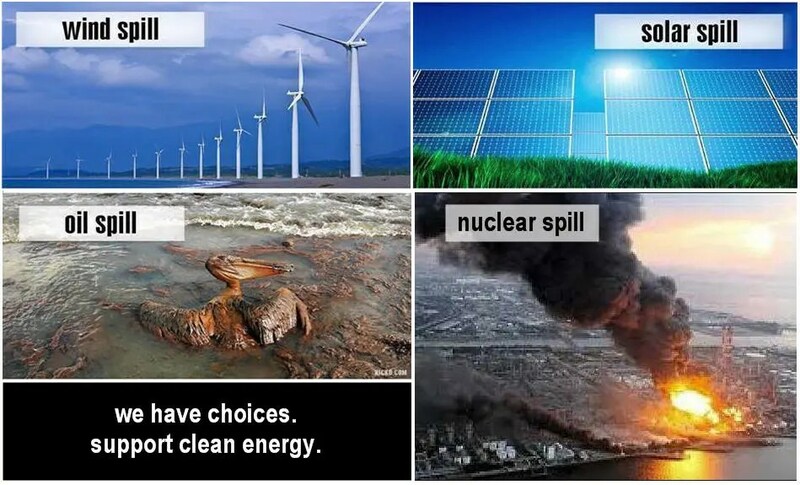 Oil, gas, coal, and uranium are finite resources, not renewable, so they only provide short-term energy contributions. Oil is partially imported, causing trade imbalance, national energy instability, and price manipulation risk. Nuclear plants are designed to operate for only about 40 years and yet the site will take a very optimistic 60 years to decontaminate. Nuclear waste lasts 200 to 500 thousand years and there are no suitable, available repositories. Nuclear plant byproducts can be used for nuclear bombs causing a security threat. Long ramp-up and construction costs. Nuclear is extraordinarily highly capital intensive and uses enormous subsidies and loan guarantees, burdening the government unnecessarily. 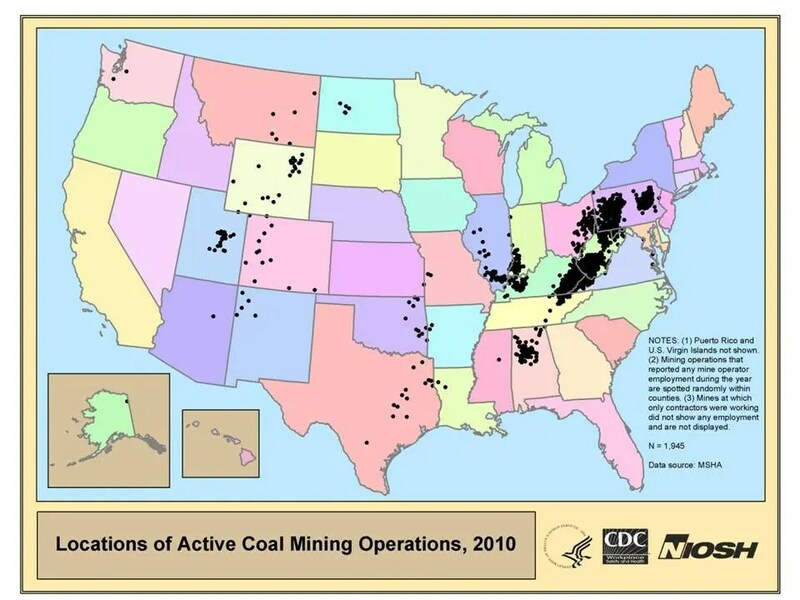 Coal mining is dangerous to coal miners from cave-in dangers and lung disease risks. Transporting nuclear waste causes risks to communities, plus there is terrorist interception danger. Nuclear plants are terrorist targets adding to societal risk and added security costs. Nuclear waste burdens placed on future generations are unfair and unnecessary. This point is minor and was done mostly out of curiosity. We have long-existing energy industries and emerging renewable energy industries, so one might expect the historically traditional energy industries to have a significantly higher web search hit count, but renewable energies have roughly two-thirds as many search hits as the older energy industries. *There may be some methodologically unreliable skew associated with gas energy hits (might individual accounts somehow be counted for example). 1. People are making money with renewables. There is capitalist opportunity here. 2. These unlimited, renewable energy models make more sense than burning finite materials that pose many undue risks including energy instability, price volatility, price inflation, and pollution of the earth’s waters, ambient air, and upper atmosphere. 3. People are making money with renewables. There is capitalist opportunity here. Interestingly, the reason why this trend will continue is simple. Capitalists want to make money. Sure, everyone wants to help the environment in the process, but if it weren’t profitable, it wouldn’t be happening. Here’s a capitalist metric that might be a bit surprising. The market cap for Tesla, which only sells EVs, is already $30.8 billion, while Ford, a 112-year-old blue chip stock firm, is $68 billion; and GM, also over a century old, is $54 billion. 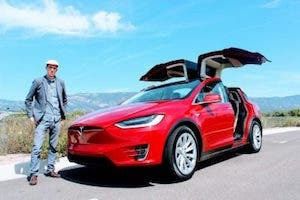 Tesla’s market cap is referred to as “market acceptance.” People are investing in this company because they believe it will provide a nice financial return. The simple fact that there is a ton of money being poured into the renewable energy sector will continue to drive this growth. How far will it drive it? As far as it can be driven, which is to say until there is complete replacement of oil, coal, gas, and nuclear energy. This won’t happen overnight, but the march is inexorable. The writing is on the wall. How is the tipping point discovered? In Malcolm Gladwell’s book, Tipping Point, he gives many examples of change from one modality or system to another. It’s not always obvious, but there are vegan bread crumbs to lead the way. Some, not all, of those indicators have been outlined in Section I. There is overwhelming evidence that we have passed the tipping point. According to the science of tipping points, yes, there is such a thing, the tipping points can be reached very quickly. Scientists at RPI claim that the tipping point can be as little as 10% adoption in the population. Polls show a high renewable energy favorability rating in the US population (and likewise in Europe). In the US, the rate is ~70% favorable over several polls. There is a key reason why this favorability percentage, while very high, is truly not that important. The reason is that capitalism is leading the way. People are making money with renewables. There is capitalist opportunity and companies are going after it in a big way. Bringing people in the state legislatures; Congress; and oil, coal, gas, and nuclear companies to take action on the evidence is another story. 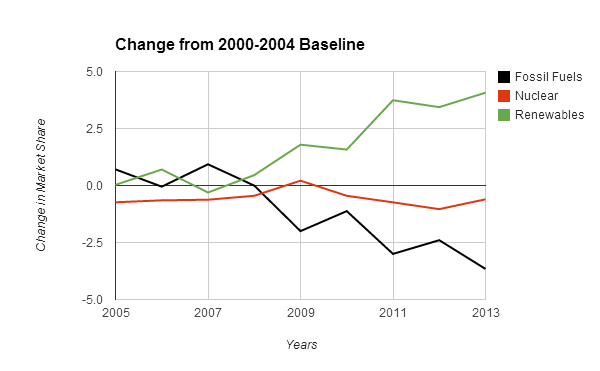 Climate disruption is an appropriate example to cite since the evidence is overwhelming yet the action has been little to date. For this to be an effective energy transition, it will take state and federal political will, and for corporations to take action. Is there a way to make the transition velvet smooth? This section addresses a few ideas to reduce job disruption for workers, and to reduce revenue disruption for the oil, coal, gas and nuclear industries. The tobacco industry has gone through significant change in the last 40 years; its response to its shrinking market has been defensive. Companies have consolidated for market position and have looked toward exports where there is reduced regulation. However, their case is different than this energy sector shift, so making any comparisons would be inappropriate, since tobacco’s US market is shrinking and the energy market is growing, but changing. In the energy world, no business is being lost, it is changing. The energy sector keeps growing. In other words, profits and jobs may be maintained in the historically traditional energy industries if there is awareness and leadership to embrace renewable energy models. Renewables are after all in the same market sector, with the only difference being the energy generation model. Will segments of energy production shrink? Yes, oil and coal are seeing modest reductions now. This needn’t be a problem. The traditional energy firms have tremendous talent, leadership, cash reserves, and other resources in this arena, their arena, of energy production. To this extent, they have a huge head start over the emerging renewable energy firms. Will they capitalize on their strengths? Some movement has already been made by historically traditional energy companies into the renewables field and more would be welcomed. 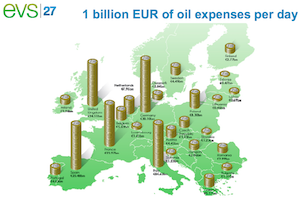 Some of the wind energy is owned by oil money. Texas is the wind production leader by a factor exceeding 2 times over California and a significant portion of that is due to the oil industry. Another traditional energy firm that has become a wind energy leader, and a shining success in this transition, is General Electric. General Electric built the first commercial nuclear plant 55 years ago and has built about 100 of them in 13 countries. GE has been one of the largest nuclear construction companies. It has also been building wind turbines, lots of them. 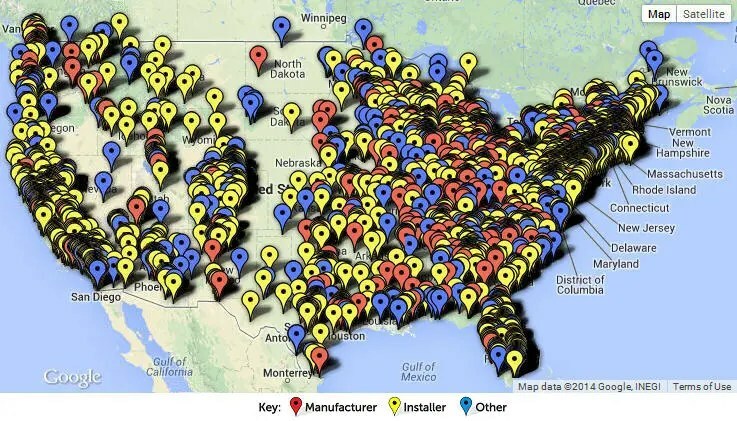 With over 16,500 of them in operation, GE has the most widely-deployed wind turbine count in the industry. General Electric gets an A for embracing renewables. Its shareholders should be proud of its leadership. It has not abandoned the nuclear industry opportunity, it have expanded into renewables. Are you a shareholder of an oil, coal, gas, or other nuclear company? What are its executives doing to take advantage of the renewables opportunity? Are they embracing the future, or clinging to the past? Three coal mine sites have been converted to utility-scale solar plants in the UK. It has been done in this instance and it can be done more easily the second time since a successful model is already in place. It is my hope that oil, coal, gas, and nuclear companies will partner with solar and wind companies or create independent spin-offs to bring jobs to coal and oil states. There is no need for retracting business segments to lose revenue for the firms in those segments or for jobs to be lost for the loyal employees… if renewable energy projects are started. The time to prepare is now to shift orientation to renewables. It’s time for the governors and other legislators in the big coal mine states of WV, PA, OH, KY, IN, IL, TN, and AL to start working to transition workers into clean energy jobs. Leadership is needed to forge the way. Attracting green jobs or working with existing energy companies to maintain jobs in states may require some transition to renewables. Politicians assisting traditional energy firms to transition to renewables with existing incentives would protect jobs and thus tax revenues. What Can Readers Do to Facilitate this Transition? Readers could, if you think it makes sense, contact legislators, governors and members of Congress. Political leadership is needed to avert any disruption of jobs or corporate or tax revenue. If you are a shareholder of a traditional energy company, you can bring up these topics at shareholder meetings. For firms that do not transition, you can divest their stock over time as transitions do take time. The disruptive technology of renewable energy is changing the planet, one project at a time, one EV at a time, one wind turbine at a time, one rooftop PV project at a time. This offers a streams-of-cash-flow opportunity stretching into the future. Jobs and revenue can be added, not lost. The time to act is now. Daryl Elliott Proponent of solar, wind, EVs, veganism, democracy, and all things environmental and progressive. Writer. Go green.